Everyone loves t-shirts. They’re a classic! 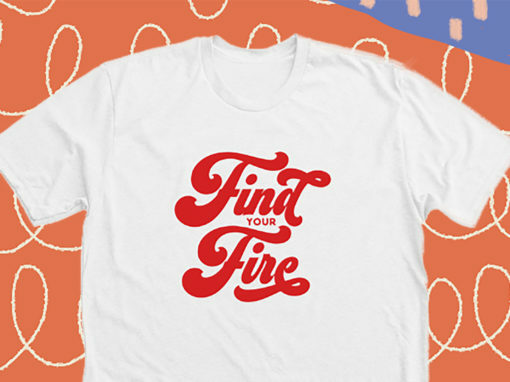 But if you can’t wear a t-shirt, what would you wear instead? What color would it be? Are you dressing for the weather or do you wear whatever you want? It turns out the answers to these questions may depend on where you live. By looking at our apparel data from the past year, we’ve learned that there are some interesting regional and state differences in apparel and style preferences. So, we put together an interactive map of the apparel and style preferences of each state for you to explore. 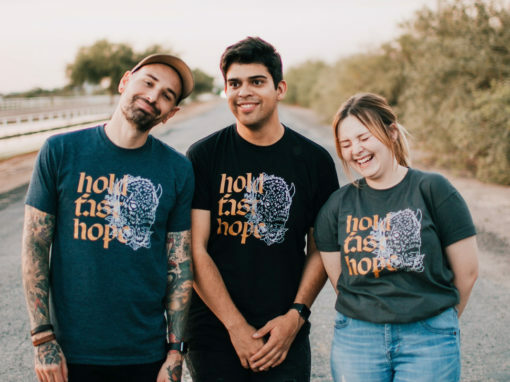 Let’s see what people are wearing in your state! Does your style match your state’s, or is it completely different? Tag us on Instagram, Facebook or Twitter to let us know if you agree or disagree with your state’s style. 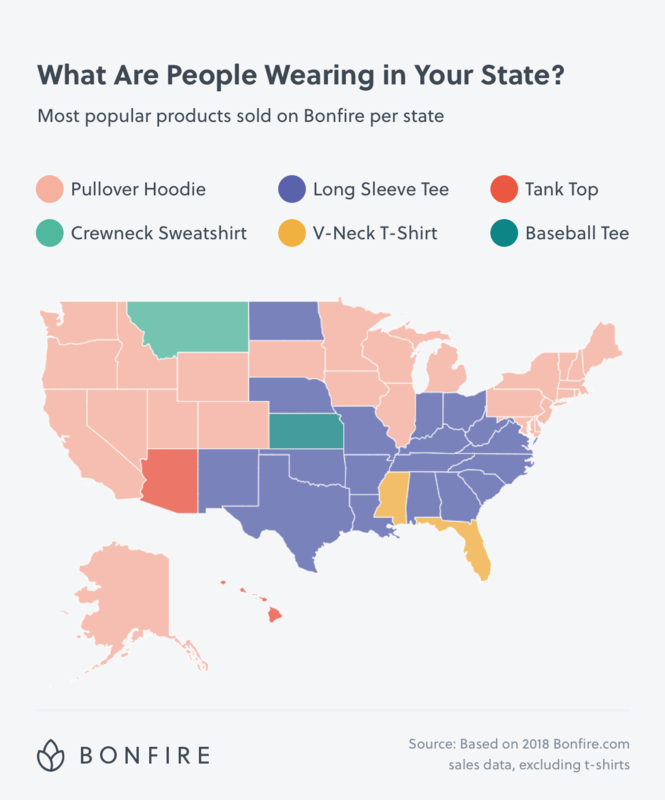 According to our data, the pullover hoodie is the most popular t-shirt alternative in 26 of the 50 states. If you’re in one of those 26 states, there’s a really good chance it’s either black, sport grey, or dark heather. These colors show up way more frequently:The exceptions? Alaska is the only state without a black hoodie in their top three colors. 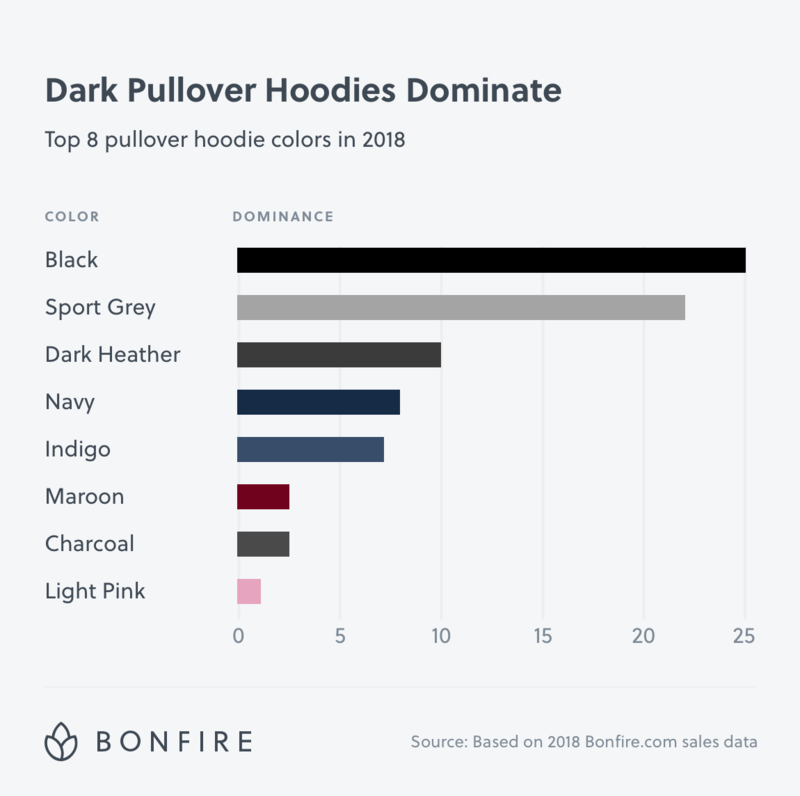 While Rhode Island’s light pink hoodie is the only bright colored hoodie in a sea of black and sport grey. Keep on shining Rhode Island 🔆! V-necks aren’t for everyone. But the residents of Mississippi and Florida may beg to differ. If you live in either of these states, there’s a good chance you’re wearing a v-neck t-shirt while you’re reading this article. 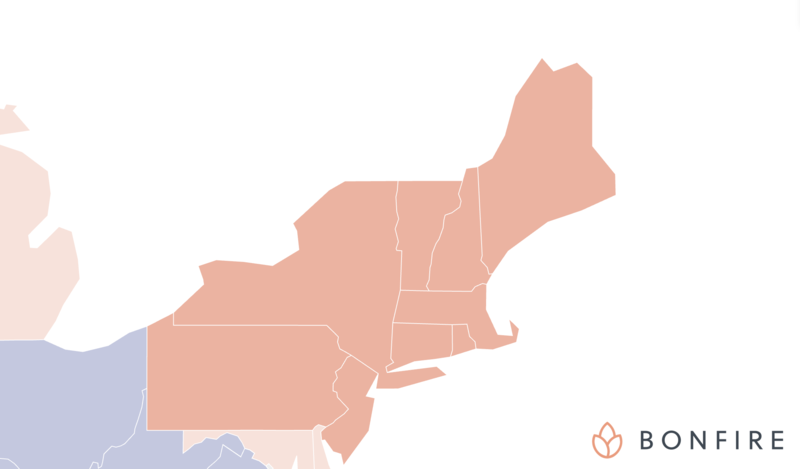 With only with a slight variation in the order, both states prefer the same three colors for their v-necks. 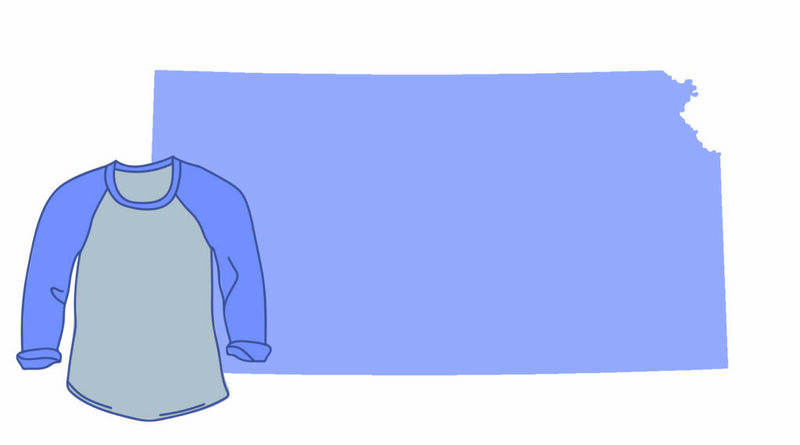 Who knew that Midnight Navy, Dark Heather Grey, and Turquoise were such popular colors of v-necks? Live in one of the nine states in the northeast? Then the pullover hoodie is likely your favorite choice of clothing. This is the only region in the US where each state in the region unanimously prefers the same product style. 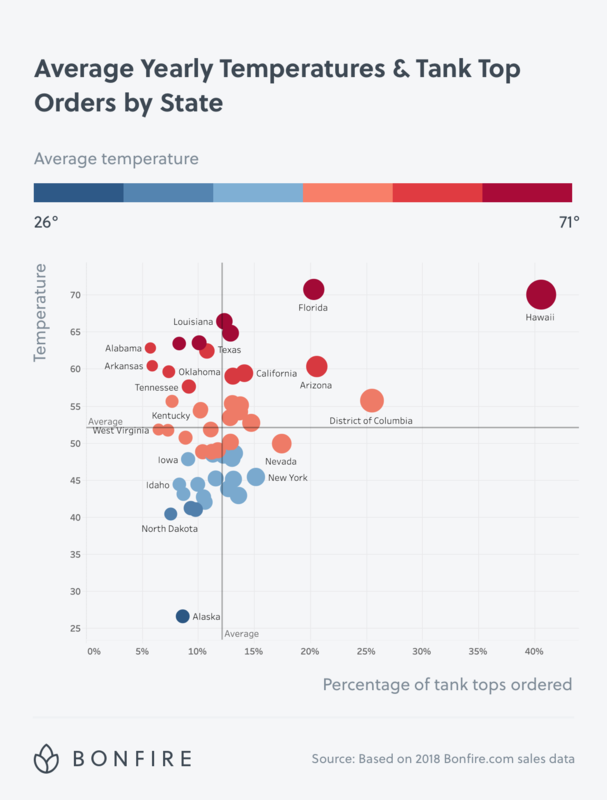 While tank tops only showed up as the top product style in three states (Arizona, Hawaii, and Washington D.C.), we thought it might be interesting to see how the temperature of a state influences peoples decision to put on a tank. Using the percentage of total orders that tank tops accounted for in each state combined with their average annual temperature, we found that people in warmer states are more likely to wear a tank top. But, that’s not always the case. Despite being so cold, there was an above average number of tank tops ordered in Nevada, New York, Rhode Island, Utah, Vermont, Massachusetts, New Hampshire, and Colorado. The tough residents of these states could care less about the temperature outside, they’re going to wear a tank top – no matter what. The folks in Georgia, Alabama, Arkansas, Oklahoma, Tennessee, North Carolina, South Carolina, Kansas, Mississippi, and Kentucky would rather sweat it out in a sleeved shirt than throw on a tank top to stay cool. Kansas prefers baseball shirts over any other shirt option? Yup! That might be because of the history of the baseball in Kansas. Since baseball first appeared in Kanas in 1867, the state has had a deep love for the sport. When the professional baseball team, the Royals, were founded in Kansas City Missouri in 1969, the citizens of Kanas didn’t let the team’s location dampen their spirit and happily adopted them as their hometown team. Loyalty to the Royals runs deep in Kansas and their baseball shirt color preference of Vintage Navy and Royal Blue reflects this passion. Does Your Style Match Your State’s? Tag us on Instagram, Facebook or Twitter if your apparel preference matches the state you live in! Is your style way different? Even better, still tag us on social media to let us know what you like to wear! 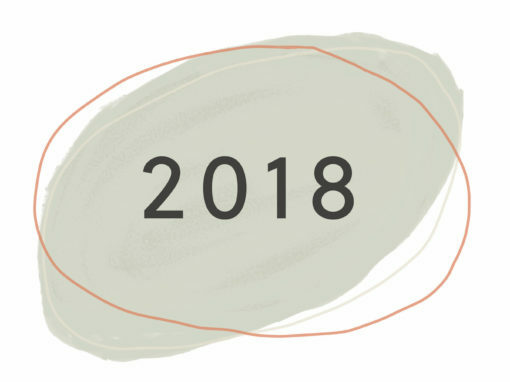 We’ll update our trends data at the end of each year so you can see how your state is changing.